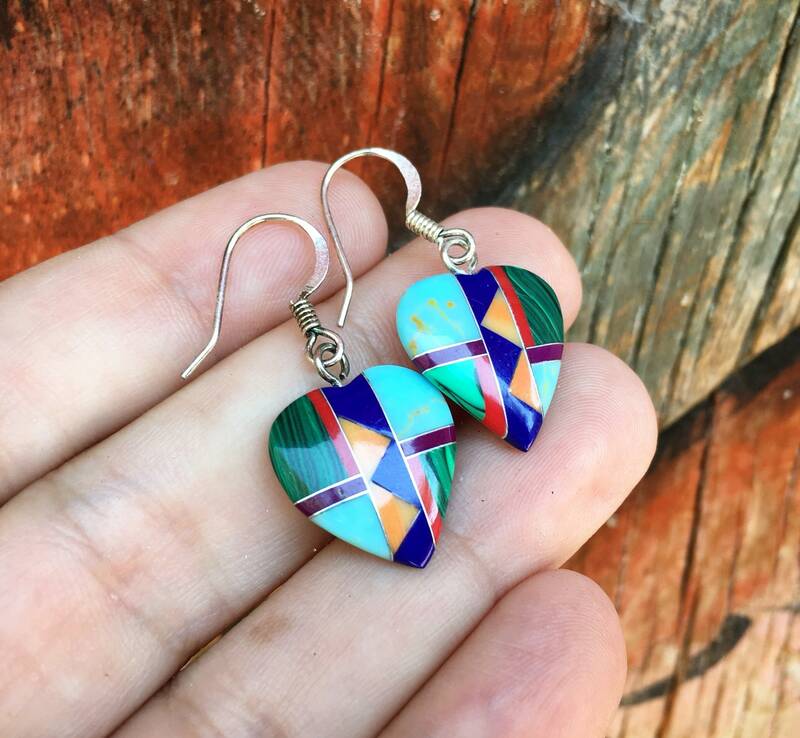 These sweet earrings are made with multi-color gemstones including stabilized turquoise, coral, lapis, malachite, sugilite, and spiny oyster. 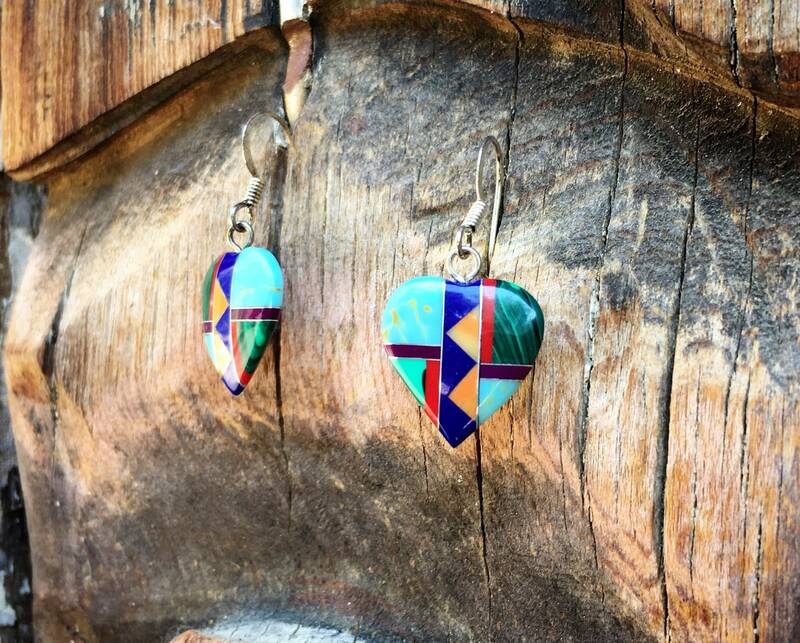 As they are unmarked, we call them Native inspired or Southwestern. The ear wires are not stamped but do not magnetize. 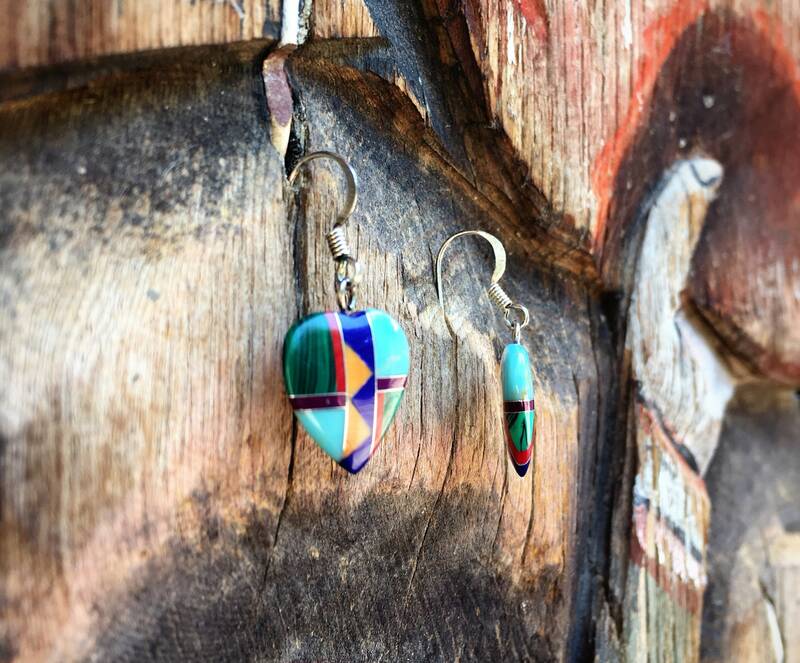 Great everyday earring, super light and versatile. 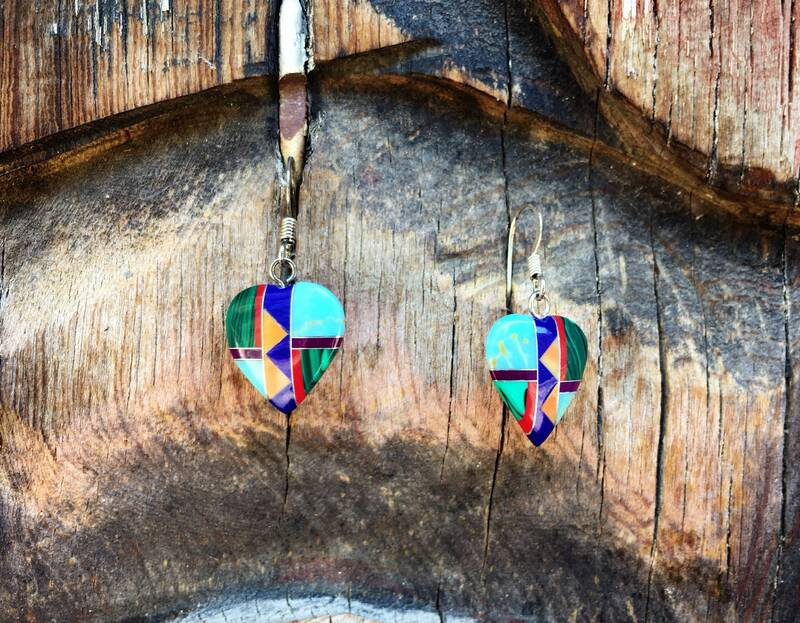 The hearts measure about 5/8" in length and width, not including eye hook nor ear wire. They dangle to about 1-1/4". In good condition. For the person who hearts colors of the rainbow.